T R Bitz 2018 provides full vehicle body repair facilities at competitive rates. 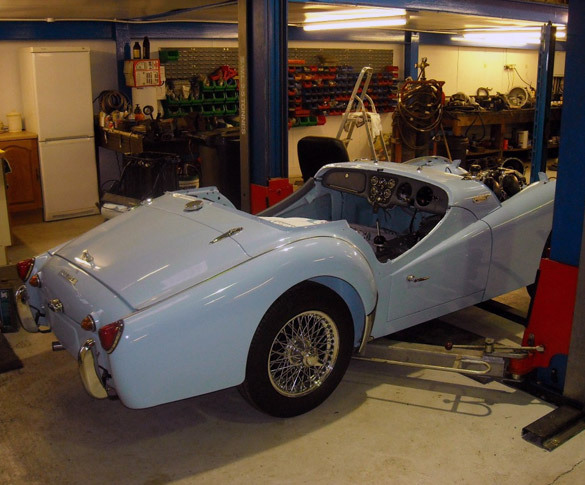 Our service centre staff are fully trained specialist Triumph TR and Classic Car technicians using state of the art equipment - your vehicle really could not be in better hands! We are equipped with the latest body shop tools and equipment to handle every type of vehicle body repair. No job is too big, and nothing is too small, from a scuff or a scratch, our car body repair is second to none. Whether your car is just in need of a new coat of paint, or you want to change its colour, or even restore a classic car, we are fully equipped and experienced to do this and have the skills and the patience to bring your car back to life. Here at T R Bitz 2018 we offer a range of services to match your budget, and quality will always be top of our list. You can hand your car over to us with total peace of mind, knowing that it'll have the best repairs and paintwork possible.